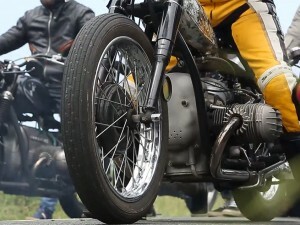 Some excellent racing going on in the 250’s!! 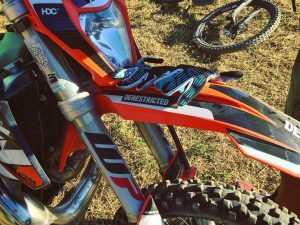 KTM riders made an impressive showing on Saturday for Round 12 of the AMA Supercross Championship in Detroit, Michigan. TLD Red Bull KTM’s Jordon Smith captured his first-career victory in the 250SX East division, while KTM-mounted riders captured four of the top-five positions in the 450SX class with Red Bull KTM Factory Racing teammates Marvin Musquin and Ryan Dungey at the helm in 2nd and 3rd place respectively. With only two Main Event wins behind him this season, Ryan Dungey came into Round 12 looking for a big victory in the Motor City. 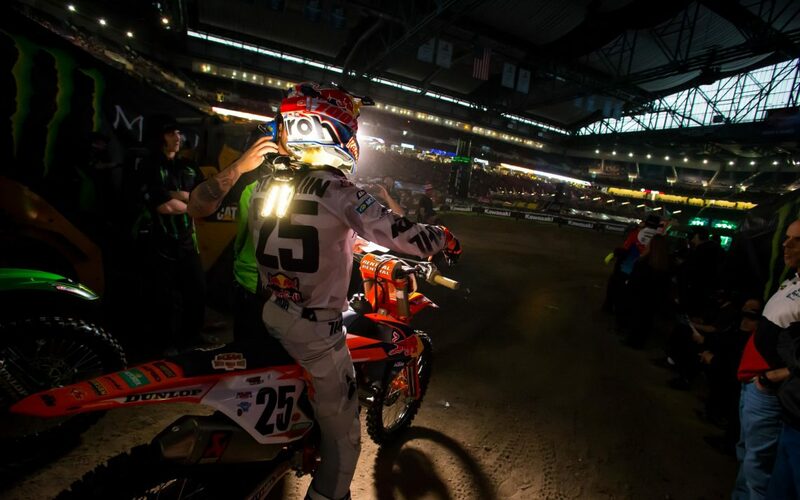 The three-time AMA Supercross Champion began the day well as he qualified 3rd overall just ahead of his teammate Marvin Musquin in the morning’s timed qualifying sessions. 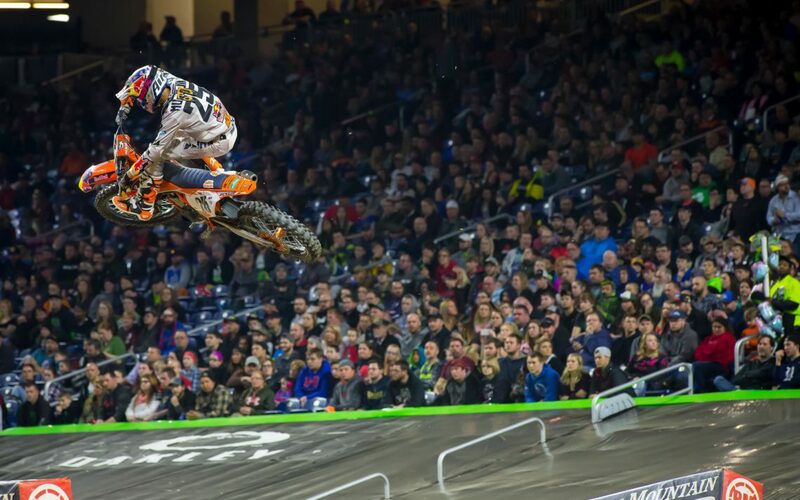 Both riders had a smooth transition into the Main Event – with Dungey capturing the 450SX Heat 2 victory and Musquin finishing 3rd in 450SX Heat 1. Trey Canard, however, finished 6th in Heat 2 where he was forced to line up in 450SX Semi 1. Canard battled with David Millsaps throughout the six-lap race, where it was ultimately Millsaps on top and Canard in 2nd place. It was Musquin who shot off the line in the 450SX Main Event to capture the holeshot aboard his KTM 450 SX-F FACTORY EDITION. Musquin led the first three laps of the race until Eli Tomac made his way into the lead on lap four. 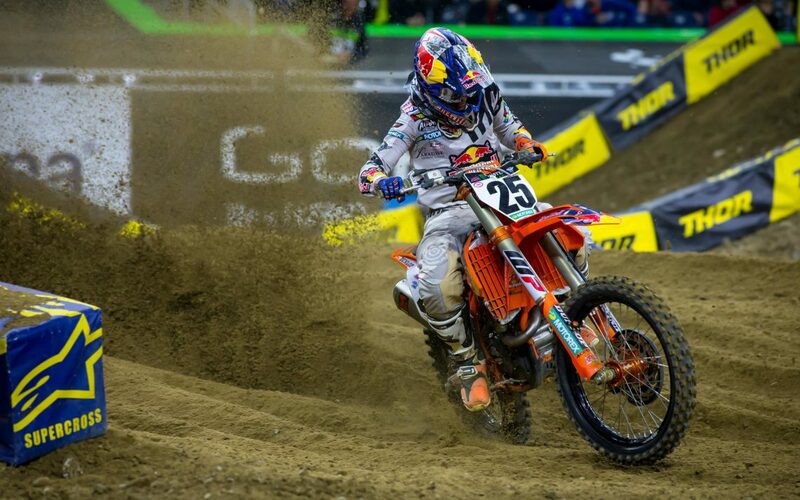 Dungey began the race just inside the top ten, where he was forced to work his way through the pack early on. Dungey was able to make his way up to 4th by the halfway point and from there he set his sights on a podium position. 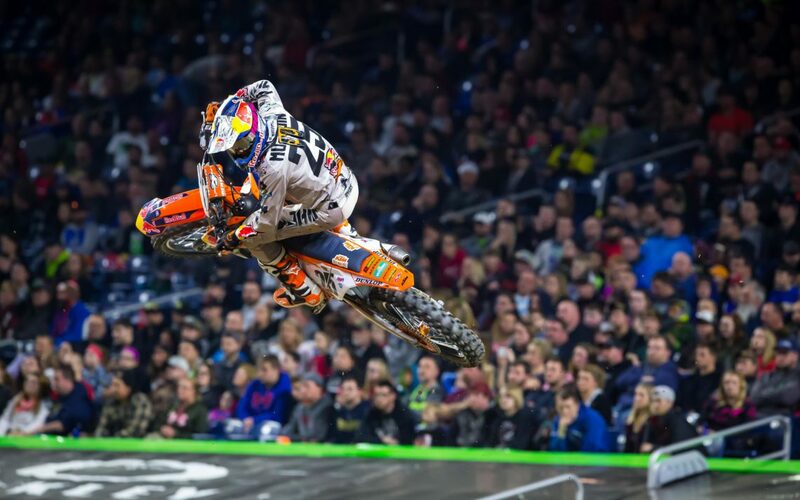 Musquin held tough to ultimately capture 2nd overall for the night to earn his seventh podium finish of the season. 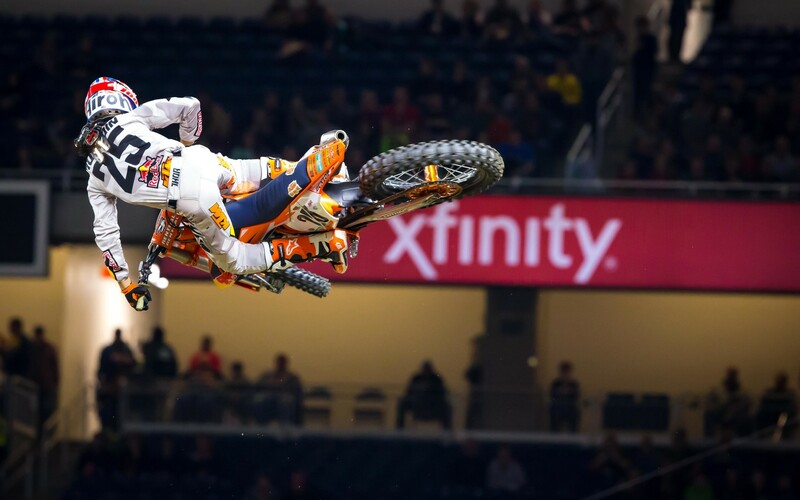 Dungey went on to finish 3rd overall for the night, where he continues to hold the championship points lead with five rounds of racing left this season. Blake Baggett continues an impressive streak of top finishes as he made a late-in-the-race pass on his teammate Millsaps to capture 4th place, while Millsaps finished 5th after running inside the top three for a majority of the race. Red Bull KTM Factory Racing’s Trey Canard finished 11th place in just his second race back from injury.